A commercial litigation attorney turned software founder is getting her mobile app off the ground thanks to outsourcing development, leveraging interns, and bootstrapping strategically. 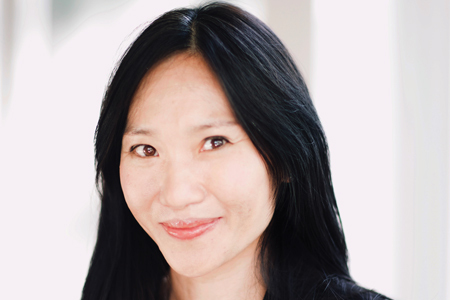 Rita Ting-Hopper spent 20+ years as a lawyer before she founded a software company. She can laugh at the fact that she’s a very unlikely tech founder. It’s not like she spent time coding in between cases, and her background is in commercial litigation, not in marketing or business development. The resourcefulness Ting-Hopper honed throughout her legal career has served her well as a founder. Getting her company off the ground has required the same tenacity and imagination it takes to win a court case. The idea for Festi, a mobile app that facilitates creating, booking, and paying for private events, was one she spent years waiting for someone else to develop. Ting-Hopper is a third-generation entrepreneur. She spent plenty of hours seeking advice from other founders and devouring material online about founding a company. Ting-Hopper is a beneficiary of software’s increasingly lower barrier to entry, but founding a company isn’t easy just because hosting fees have dropped and growth hacking playbooks are readily available. She had to get creative to come up with the manpower needed to get Festi’s MVP off the ground. Multiple custom development shops in the U.S. submitted cost-prohibitive bids for a self-funded startup like Festi. Ting-Hopper realized the contractor she selected actually outsourced a good chunk of its development overseas to India. She quickly made the switch to working directly with the team in India, and has been working with five developers there ever since. The cost savings were worth the extra time and effort needed to communicate her vision to an offshore team. Once the MVP was ready, Ting-Hopper started seeing early traction without investing a single marketing dollar. Early adoption came from word of mouth and rounding up beta testers in the District of Columbia metro area. Festi also picked up a few headlines when Ting-Hopper was invited by Arlington Economic Development to present at the 2018 Collision Conference. The average number of users and total events booked on the platform has increased month over month since launch. For now, Ting-Hopper is more excited about the $300 million event market she is trying to disrupt than she is about finding funding. As of June 2018, she was in discussions with tech companies and other individuals for them to work on Festi for deferred payment upon funding in the future. Her road to running a profitable software platform might be long, but it’s a realistic journey for many early-stage companies.